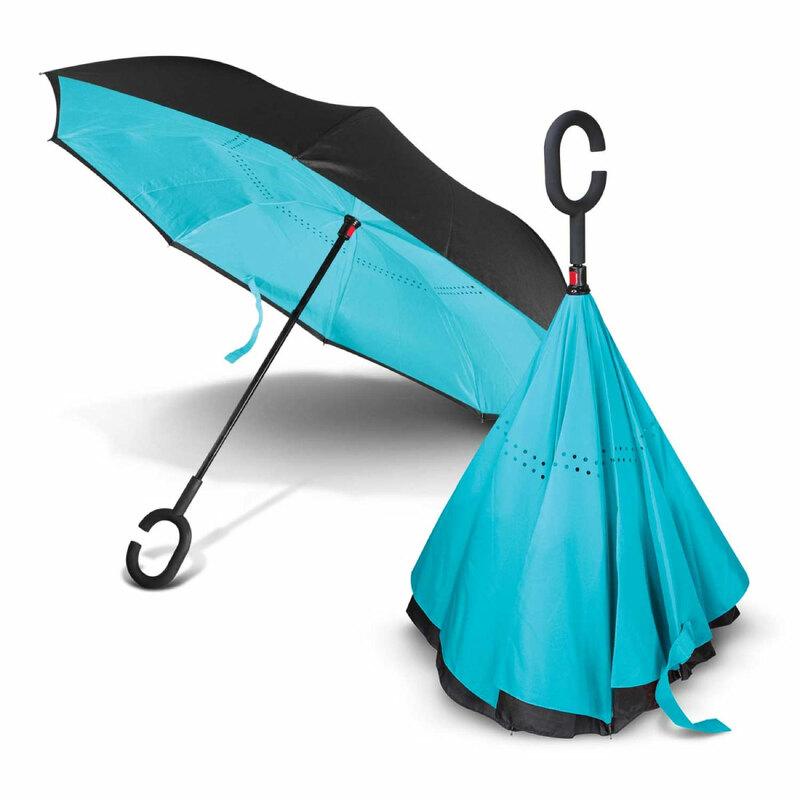 Get noticed and stay dry with these innovative inverted umbrellas! 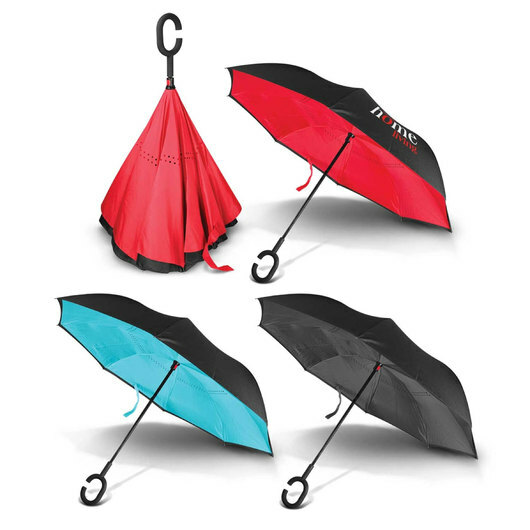 Step into the future with some of these trendy inverted umbrellas - they close inwards leaving a dry, non-drip outer layer. They have a 62cm rib length with a double canopy, made from 190T showerproof pongee material. The inner layer has air holes, allowing for a smooth, fast opening and closing. 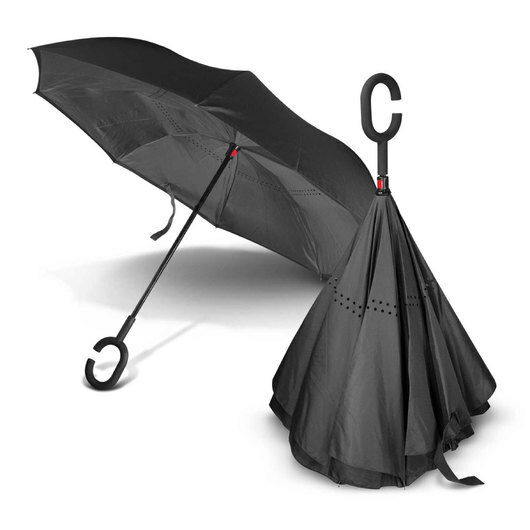 Not only that the umbrella has flexible fibreglass ribs which wind proofs the canopy as well as a strong metal shaft. As a bonus they have a soft touch C handle for comfortable use. They will also conveniently stand upright on the electroplated gunmetal tips when not in use.